So… exactly how many ranking factors does Google look at when deciding whether they’re going to list your website in a user’s search result? It’s a great question and one that we wish we had a definitive answer to. Unfortunately, Google keeps the specifics of their search algorithm a very tight-lipped secret… it’s a bit like the Colonel Sanders’ secret recipe of the digital marketing world! Sure, they let us know about things like optimizing for keywords and mobile-friendliness, but there’s so much more hiding behind the curtain. SEO experts near and far (HMG included!) have been experimenting with Google’s ranking signals for years now. Our best estimate is that Google has somewhere around 200 ranking signals, maybe a bit more. That’s a lot for an SEO expert to pay attention to, much less a business owner trying to run the daily operations! Chances are you already know some of the big ones. 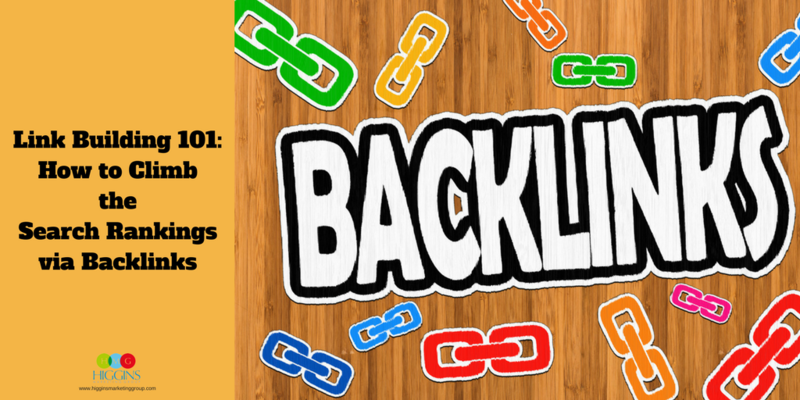 We mentioned mobile-friendliness… and there’s also things like domain authority, quality backlinks, page load times, etc. But what about some of the more obscure ones? 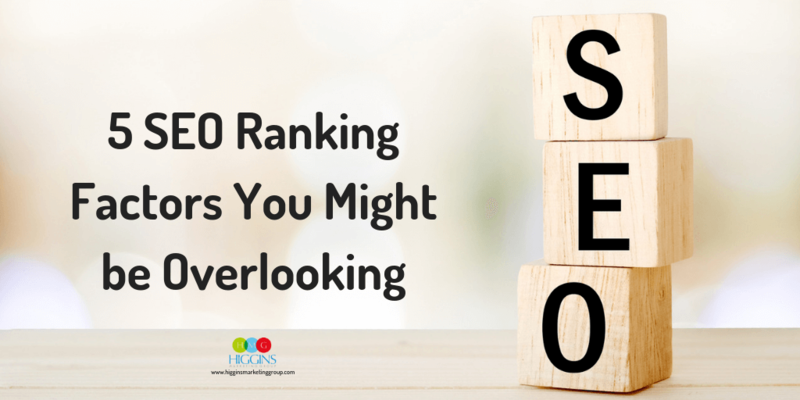 Are there ranking factors that you’re not aware of that might represent opportunity to improve your company’s rankings? We think so, and here are 5 we think you should consider for your business’ website. You know what they say –– safety first! We wrote a whole post about Secure Sockets Layer certificates and why you may (or may not) see a little green lock next to your website address. It’s all about making the internet a safer place for everyone, something our friends at Google are very passionate about. So guess what they did? They built it into their algorithm so that sites with HTTPS connections will enjoy a rankings boost. One Google rep disclosed it could be the “tie-breaker” between two otherwise equal search results. 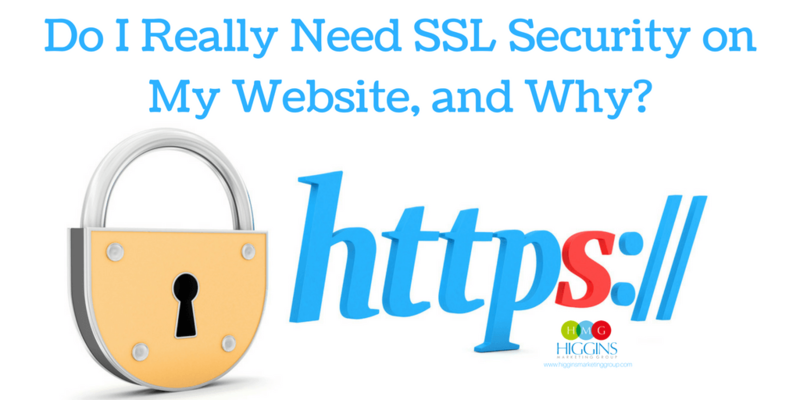 Pro Tip: Installing HTTPS on your website is not a DIY kind of job unless you are a techee. 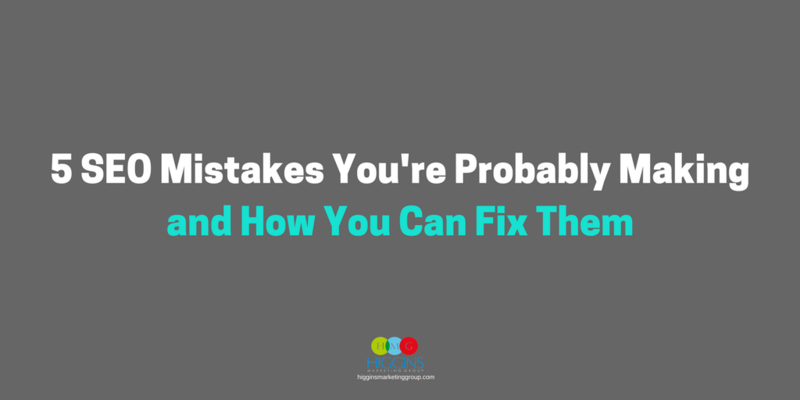 If you make a mistake, your website could suffer from increased page loading times and a host of error messages. Get help from your hosting provider, domain registrar, IT or marketing partner. When it comes to content, relevancy is always going to be #1 in determining where your page ranks on any given search. But following close behind is how extensive your content is. Now, we’re not saying that word count is officially a ranking factor, but there is some research to show that in-depth articles will rank higher than those who only spare a few hundred words. Let’s hear it for long-form content! Pro Tip: Long-form content works best when you break up the text –– keep paragraphs short, use, subheadings and be sure to include relevant pictures/graphics. It’s easy to overlook image alt text, but it can actually have a big impact on your website. First, if someone’s web browser is having a hard time displaying your images, alt text will fill in the blank… literally (in fact the whole underlying purpose of this is to make website images “readable” for visually impaired readers). But from and SEO persective, images can actually send signals back to Google through their alt text. That means Google has another place to look when deciding if your content is relevant to someone’s search and, ultimately, serving your content to them. Pro Tip: Try to work a keyword into your alt text for an extra rankings boost. Make it natural, though. No keyword stuffing! Are you using H1 and H2 tags on your pages? Despite what some people might think, they’re not just an easy way to make important words bigger. H tags are designed to create an established hierarchy for the page. This is important for two reasons: 1. It makes your content easier to read. Trust us, nobody wants to read a giant block of text. And 2. Hierarchy = organization, and that level of organization gives Google a clearer picture of what your content is about. The easier you make it for Google, the better they’re going to rank you. Pro Tip: If you haven’t been incorporating heading tags, don’t panic. Start by adding them to the three most important pages of your site and any new pages that you create. Now that we’re moving into a mobile-first world, Google is cracking down on annoying pop-up and interstitial (aka full screen) ads. Can’t say that we blame them. With such a small screen, it’s easy for a pop-up ad to overshadow important content that a user needs and ruin the experience. Google announced early last year that they were going to start penalizing sites with intrusive mobile ads. If you’re running these types of ads on your site, it might be time to rethink your strategy. Pro Tip: You can work around Google’s rules on interstitial ads. This article provides some great advice on how to make the policy work for you and how to get creative with traditional banner ads.